Located in the spectacular Coast Mountains just two hours north of Vancouver, Whistler is Canada’s premier year-round destination, featuring two majestic mountains with a vibrant base Village, epic skiing and snowboarding, four championship golf courses, world-class shopping, restaurants and bars, hiking trails, spas and arguably the best mountain bike park in the world. Book your Whistler vacation early to secure your choice of accommodation and activities at the best rates. Whistler Village has been built around a pedestrian-only walkway. Everything from the ski lifts to shops, hotels and accommodation, places to eat, entertainment and activities can be found within walking distance along the attractive Village Stroll. The Village has all the amenities expected of a world-class resort, but is still small enough for visitors to enjoy its unique mountain culture and friendly atmosphere. The Village is conveniently located at the base of Whistler and Blackcomb Mountains. When you have finished enjoying the mountains there is plenty to see and do right outside the door of your accommodation – no transport required. For those interested in exploring other parts of Whistler or visiting with a vehicle, there are parking and public transit options available. Whistler has a wide range of places to stay including hotels, apartments and other accommodation to suit every budget. Each year, snow industry, travel, internet publications and visitors rate and review the top resorts of the world. 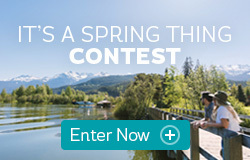 Whistler is consistently rated one of the world’s top year round destination resorts, with recent awards for best ski resort, best hotels, best restaurants and best golf resort. See a full list of winter activities in Whistler. See a full list of summer activities in Whistler. 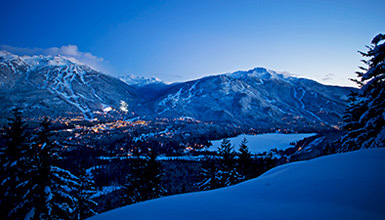 Whistler offers endless opportunities for all kinds of unique experiences and adventures in fresh mountain air. Whistler satisfies all appetites with plenty of places to eat for breakfast, lunch, après and dinner. Experience fresh food in mountainside venues with amazing views price ranges to suit every visitor. Award-winning restaurants and chefs offer appetizing fare from different ethnicities and regions, with many featuring organic and locally sourced ingredients. Time your visit for a culinary event like Cornucopia to see Whistler’s food scene in full swing or sample several restaurants in one evening with Whistler Tasting Tours. People who like to shop love Whistler Village. Explore a diverse range of stores and boutiques featuring designer brands including Helly Hansen, Roots, Eddie Bauer, Lululemon, Pandora, Arc’teryx and more. Retailers feature the latest outdoor adventure wear and equipment from skis and snowboards to mountain bikes and golf clubs. Other stores offer beauty products, souvenirs, unique gifts and fine artworks. Whistler offers a non-stop lineup of events including free outdoor concerts, festivals, live music, markets and lively street entertainment. View the Event Calendar for a comprehensive guide to what is happening in Whistler this year. The Insider gets to the bottom of what makes Whistler a favourite travel destination for people from the UK and Down Under.